top employee complaints | The Brain-Based Boss. 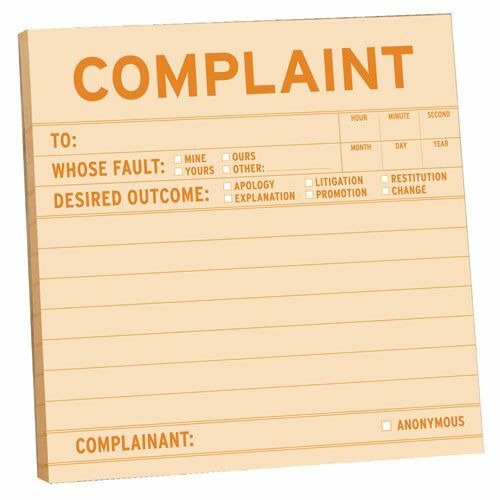 Top 10 Employee Complaints – How Do These square With Employee Engagement? What do you reckon the top 10 complaints from a survey of over two million employees of over 2000 organisations might be? This post lists that top ten. If ‘top’ is the right adjective. The guts of much of the writing behind employee engagement rests on the primary motivational drivers of employee engagement being intangible, intrinsic people-things like personal development, a sense of purpose, a sense of control or influence over what gets done. Everyone usually downplays money. Where do money-related issues fall in this list of the top ten employee complaints? 1. Higher salaries – pay is the number one area in which employees seek change. 2. Internal pay equity, particularly having concerns with “pay compression” (the differential in pay between new and more tenured employees). 3. Benefits programs, particularly health/dental, retirement, and Paid Time Off/vacation days. Specifically, many employees feel that their health insurance costs too much, especially prescription drug programs. 4. “Over-management” (A common phrase seen in employee comments is “Too many chiefs, not enough Indians”). 5. Pay increase guidelines should place greater emphasis on merit. 6. The Human Resource department needs to be more responsive to their questions and/or concerns. 8. Improved communication and availability (both from their supervisors and upper management). 9. Workloads are too heavy and/or departments are understaffed. Before I swallow this as complete, representative and accurate, I’d have to go and check out the survey and the methodology and the motivations of those doing the surveys – both the company, the employees and the researchers. I’d be really loathe to give much credence to a check-box list of pre-drafted items from which respondents could select or rank. It’s more effort than I’m prepared to apply as no one is paying me to do it. The post only provides a link to the website of the research company not to the research itself. It doesn’t even date it, implying that it’s recent. Completely subjectively, people have a job to make money and pay the rent / mortgage. Some of my friends are professional comedians. They do what they love with a skill they’ve developed. There’s is both an artistic pursuit for its own sake and a business they own. I never hear any of them complaining about their ‘job.’ I doubt many of them believe what they do is a job how they define it. It’s not particular to comedy. I know a diverse range of business people with similar mindsets. That said, when they do complain, they complain about money.